There’s nothing quite like a summer vacation. It’s warm and sunny, the semester has ended, and you’re yearning to get out of the house and forget about your daily responsibilities. Proper travel vacations can get expensive, though, which is why staycations at home are a popular rejuvenator for college students. You take time off work to relax and unwind without paying hundreds of dollars on a hotel room. 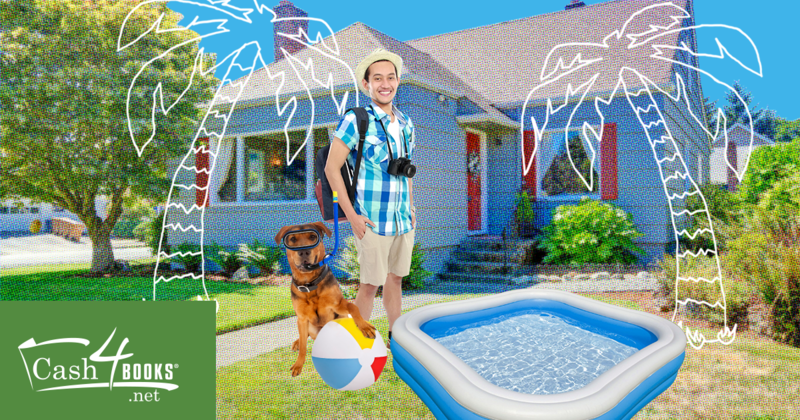 Here are 8 things you can do to enjoy a summer vacation right from your own home (and bed). These days, it feels like we’re always plugged in. Our phones, tablets, TVs, computers — we’ve always got something electronic in front of us. While it can be tempting to spend free time flopped out on the couch binging the newest season of your favorite show, vacation is a time to change your daily rhythm. So turn off your electronics. Put them away, if only for a day. Go for a walk without your phone, read a book in the park, or do a crossword. Everything will be there when you get back! Change up your routine; your brain (and body) will appreciate the change of pace. Running the rat race of modern life can be exhausting. A third of Americans aren’t getting enough sleep. You can’t catch up on all of your sleep over a few days, but strategic napping can help you enjoy your moments of relaxation and give you an energy boost. While some of us nap best in an armchair or on the couch, summertime weather makes napping outside a joy. Whether you’re in a hammock or nestling on the grass in the shade of a tree, it’s easy to drift away for the better part of an hour. Just remember to put on sunscreen. Waking up to sunburn can spoil the joy of a summer nap! No matter how small your college town, there’s a good chance there are some historic places near you. The National Register of Historic Places catalogs famous, interesting, and sometimes quirky places in your area where history was made. Many of them are free or at least cheap to visit! Checking off a few of these is a good way to spend your afternoon while learning about the past. You may be on a budget, but you know what doesn’t cost a penny? Moving your legs. If there are hills around you, go for a hike! If you’re in a flatter area of the country, find a nearby park and go for a walk. For an even better experience, bring a friend, significant other, or family member(s) and pack a picnic! Most of the nation’s population lives within driving distance of some body of water. Enjoy a good summertime dip in lakes, rivers, swimming pools, or the ocean. Whether you’re heading to the beach or the poolside, beating the heat with good old-fashioned H2O is a time-honored way to spend your R&R during the summer. Going out to the movies is pricey. Popcorn, drinks, candy, and tickets all add up to one expensive night out. So why not bring the movies home? Better yet, build a backyard movie screen. Invite friends over, grab a couple of movies you’ve always wanted to see, and have all the fun of a night at the movies for a fraction of the cost. 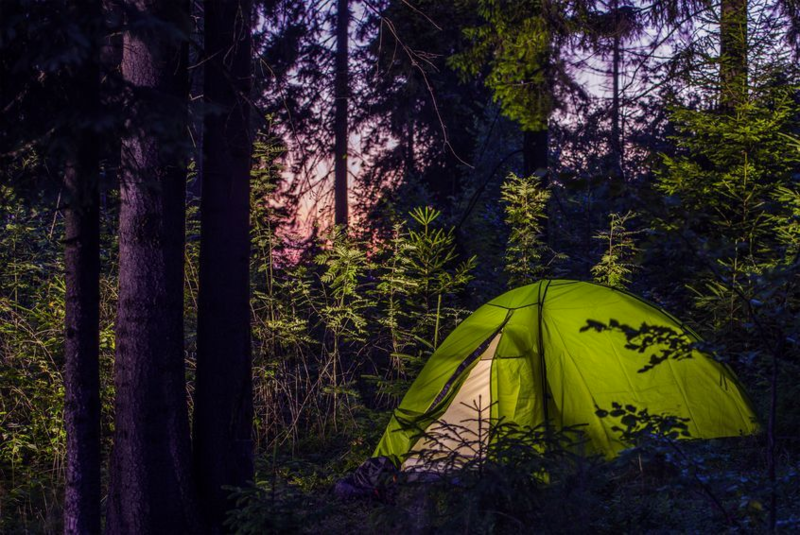 When you’re on a vacation, you want to have experiences you’ll remember, right? That doesn’t mean you need to go far to find them. Go to local fairs, festivals, and other events. Some may be small, but that just gives you more of a chance to meet interesting people doing things you might not have known about! Nothing says summertime more than a grilled feast. The smell of hotdogs and hamburgers sizzling on the barbeque is summer. Celebrate your staycation by having good friends over and cooking a meal — or ask everyone to bring something potluck-style. Most of these ideas cost little to no money, especially when split among friends. For the things that do — or to put some extra cash in your pocket for summertime treats — make sure you’re selling your used textbooks at Cash4Books! This entry was posted in Saving Money and tagged Cash4Books News & Updates, college students, make money, Save money, staycation, Summer on July 27, 2016 by Jim McKenzie Smith. 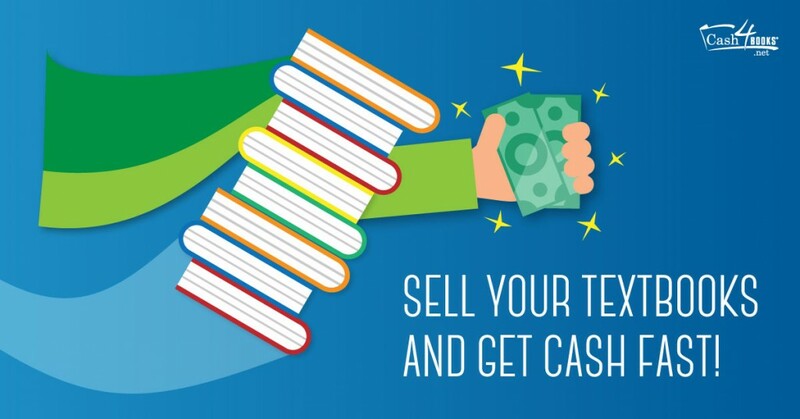 How to Sell Your Textbooks and Get Cash Fast! The life of a college student is busy. Like, crazy busy. We get it! This entry was posted in Cash4Books News & Updates, Saving Money and tagged Cash4Books News & Updates, college, fast cash, make money, Save money on November 11, 2015 by Jim McKenzie Smith. There are tons of ways to save cash, some of which you may never have considered! 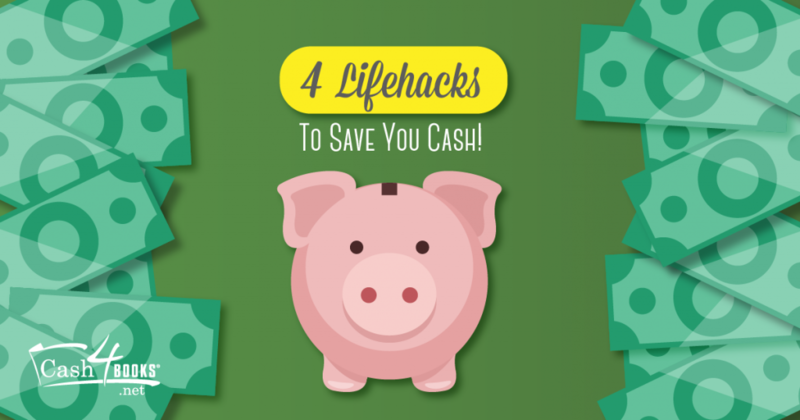 Here are four lifehacks for saving money that you can customize for your personal use! This entry was posted in Saving Money and tagged college students, Frugal, lifehacks, Save money, saving money, tips on November 4, 2015 by Jim McKenzie Smith. Small businesses and startups everywhere use our service to get graphic designs for logos, business cards, t-shirts, websites, and more. Designers from all over the globe compete with their peers in design contests to win prizes, improve their skills, and establish relationships with new clients. Design contests are ideal for clients who don’t already have a freelance or in-house designer. Contests allow clients to see work from, and work with, many different designers at once. Design contests let clients see finished designs custom-made for their company, rather than committing to work with a designer based on their past work for other companies. Design contests are quick. The average contest lasts for one week, at the end of which time the client walks away with a finished design that’s ready to use. The designers have great new designs to add to their folios—and, if they’ve done well, some prize money too. Design contests are very cost-effective. The client chooses the contest prize they want to pay, and know that designers will create designs for that price — there’s no going over budget here! If clients aren’t satisfied with the designs submitted to their contests, we offer a 100% money-back guarantee. See how it works, or check out the video on our homepage for more about our service. This entry was posted in Cash4Books News & Updates, Saving Money on May 21, 2013 by Jim McKenzie Smith.